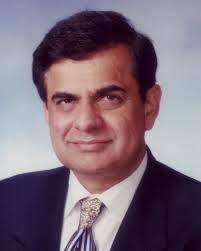 Washington, March 22 (IANS) Sudhir Parikh, a prominent Indian-American doctor and publisher has dissociated himself from ‘Indian Americans for Trump 2016’, a group supporting Republican frontrunner Donald Trump. “I allowed myself to be identified with that group,” he said in an emailed statement “because some members of the group are friends of mine”. “I wish to clarify that I no longer belong to the group and I do not support the candidacy of Mr. Donald Trump,” Parikh, founder chairman of Parikh Worldwide Media publishing house, said without assigning any reason. “For over three decades I have supported both Democrat and Republican candidates based on their individual merits and their commitment to the interests of the Indian-American community and US-India relations,” he wrote. “I remain committed to this course,” added Parikh, who had been named chair of fundraising and advisory committee of Indian-Americans for Trump 2016 formed in January. Calling Trump the “best hope for America”, the group from New York Tristate area formed a Political Action Committee (PAC) to support and raise funds for him.